I'm back from traveling Germany. 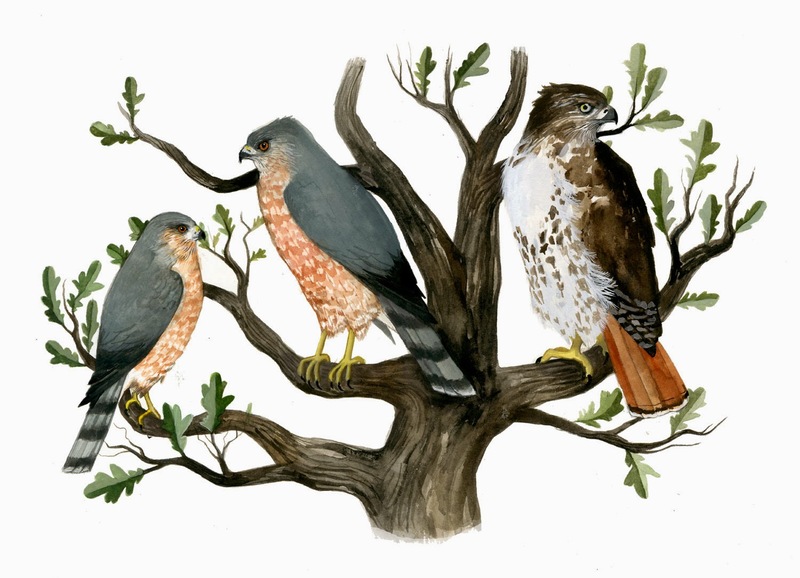 I will be posting a couple of drawings soon of common birds that I saw while I was there. I didn't have much time for sight seeing or bird watching while there, but had a fantastic time none the less. Upon my return this is the first painting completed. It's a commissioned watercolor requested by a friend who is getting married in Minneapolis this weekend (congrats to Letta and Josh!). 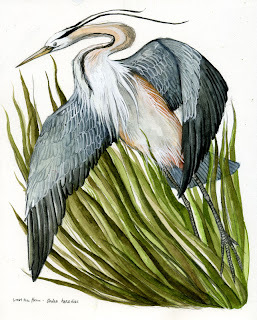 A couple of years ago I designed a tattoo of an Australian Fairy Wren for her, and she recently asked me to do a painting for her brother of a Great Blue Heron, a bird for which he has great admiration. It's a bird that one can see in the wilds and suburban areas of Minnesota and through out the states. They're one of the bigger avian success stories of the 20th century as they have seemed to have weathered the storm of human encroachment upon their habitats fairly well, and have shown themselves to be a highly adaptable species. They can be found in both marine, coastal habitats as well as freshwater, inland habitats. We have a fresh water canal that runs near our house, and we see a few Great blues without fail every summer and spring, picking about in the shallows. Holy crap! This is gorgeous!! Great job, Diana. Just beautiful Diana, Reminds me of the superb Califone poster you made that I'm lucky enough to own.